Alotau District plans to return it’s headquarters to Rabaraba sub-station this term. It was left desolate a few years back in a temporary shift to Alotau due to issues with it’s district treasury but now, they have confirmed work is underway to rebuild the Rabaraba headquarters to transfer the district's headquarters back. 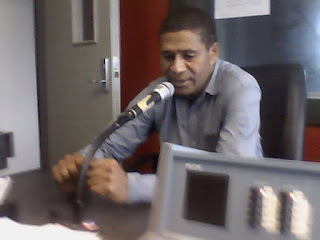 Alotau’s District Administrator Lindsay ALESANA confirms it had been talked about in the past years, but MP Charles Abel who is the current Deputy Prime Minister and Minister for Treasury wants the shift to happen this year. "I've moved home and office back to Rabaraba as it is, we are cleaning up the station, getting officers back to where they suppose to be, looking at the housing situation and more. Acknowledgements to the DDA Board who endorsed funding for minor clean up and power and water restoration. I urge public servants to lift they game, come to work on time, restore trust and service to people and win their confidence back in seeing Rabaraba as the district headquarters for Alotau District". The headquarters was temporarily shifted into Alotau 5-6years ago for district treasury convenience- Rabaraba sub-station will be rejuvenated maintenance wise to stage all it’s district services here once again.